The KIP 860 is ideal for environments that require convenient multi-function productivity with a single footprint space-saving design. 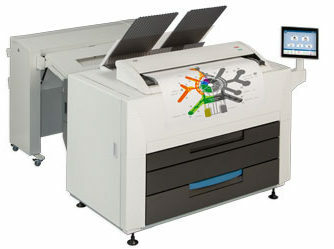 The KIP 860 color print system provides extraordinary print quality and performance for both color and black & white wide format printing of technical and business graphics. All system features and functions are at your fingertips using the intuitive touchscreen navigation that automates copy, scan and print functions for single touch productivity.